How do you fancy sipping a cold drink in your garden this summer while you’re nearest and dearest sit beside you doing the same? 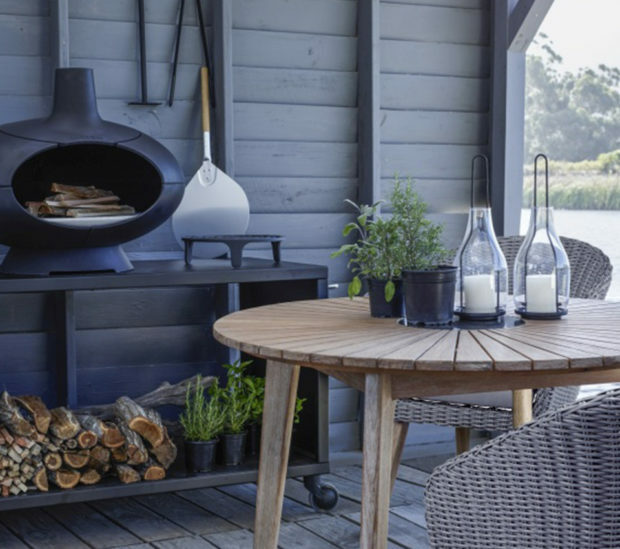 Well, whether you like the idea of cooking outdoors, throwing a garden party or just dining al fresco, you’ll need to turn your outdoor space into somewhere that’s designed for socializing. Here are five ways to do exactly that. Are you using your space in the best way for socializing right now? If not, it’s time to change it. For instance, what’s the point in positioning your garden furniture in the shade all day? No-one will want to sit there! So, re-configure the space so that you get the best of the day’s sunshine with an area you, your friends and family can spend time in together. Putting a patio or decking area in a sunny corner will make a huge difference to the amount of time you choose to spend in your garden. People gather around food, so it makes sense to buy a grill or BBQ to use in your garden. Set it near your kitchen so you can move between preparation spaces with ease, flipping burgers and grilling chicken while you’re catching up with your loved ones. Or, take it to the next level by treating yourself to a permanent BBQ island. They’re more solid and reliable than a portable grill or BBQ, and they inevitably draw in crowds of friends, family and neighbors who want to tuck into some delicious food! Consider buying one if you like the idea of backyard cook-outs in the summer without the hassle of cleaning up the kitchen and with the added bonus of hanging out with your guests while you cook outdoors in the fresh air. Next up, you’re going to need some furniture for people to sit on if you’re going to cook for them. Look for a good quality set of patio furniture, including a large table with lots of comfortable chairs so that you and your family can linger there all day. But remember – you don’t need to spend a great deal of money to fill your garden with furniture. 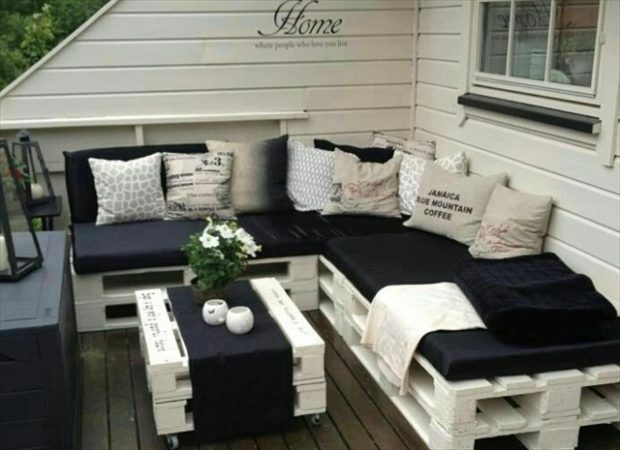 For example, you could salvage pallet boxes and turn them into a comfortable seating area for next to no money at all. How do you fancy relaxing in a hot tub? Well, if you do, you can get bet your friends do too! Splash out on fun extras like these, inviting your loved ones over for hot tub parties, or consider installing a fire pit so you can gather round the warmth of an open flame while you toast marshmallows. Things like this turn a garden from a nice looking space into an entertaining area that has a specific purpose and function, making it much more likely that you and your guests will want to spend time socializing in it. Finally, you’ll need to give some thought to how you’re going to illuminate your garden in the evening. Otherwise, you’ll be resigned to heading indoors as soon as the sun has set. Install solar lights along your pathway, add spotlights around the perimeter to throw light up your fencing, and consider adding strings of festoon lighting for a fun and welcoming summer-time evening feel. Follow these tips to turn your garden into a social space, making the most of the summer sun.